Today has been a great day. I’m really busy – working away – doing deals and coaching students – when my kids come up and give me some awesome chocolate mint cookies!!! Mmmm, mmmmm! What a blessing that I get to work from home (when I’m not working from Starbucks! ), hang out with my kids, and eat lunch with them everyday. So… I thought I would share a couple little videos (not to brag or anything!!!) and give you a little peak at what happens on a typical day. 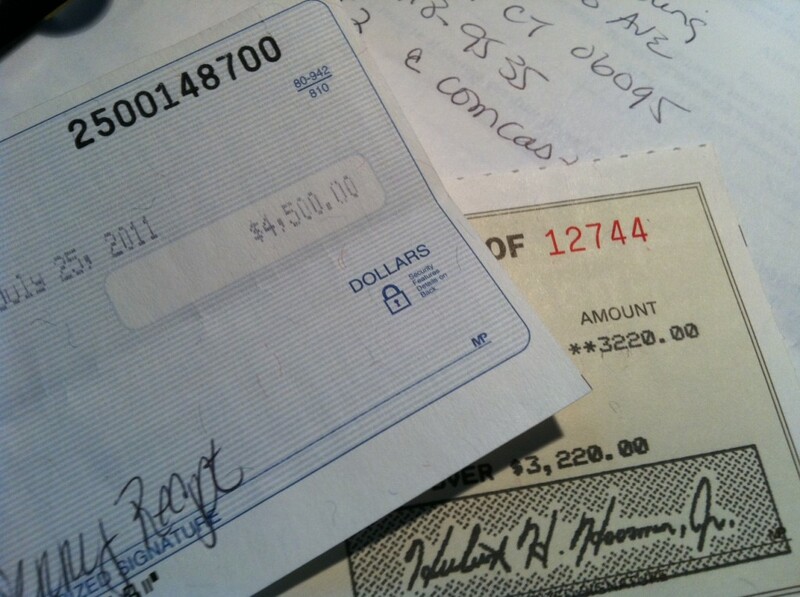 Oh yeah – I got some of these checks below today waiting to be deposited. I’ve got a couple more deals with checks coming in the next few days too! Listen – don’t give up on your dream to work for yourself and spend more time with your family. Work hard. Be persistent. You will get there.